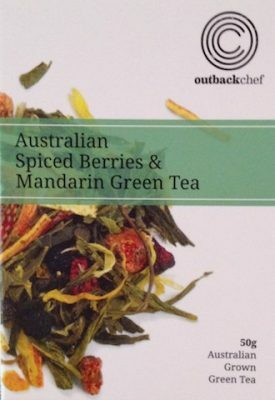 Incorporating Lilli Pillis, Rosella flowers, Tasmanian Pepperberries and Mandarin to energize and inspire your creative instincts. 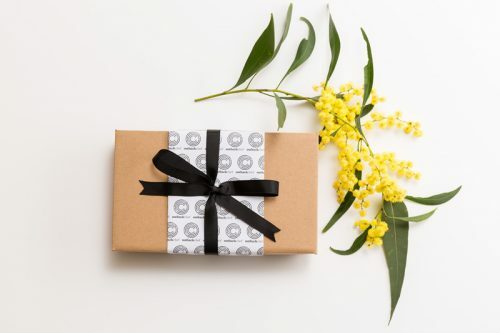 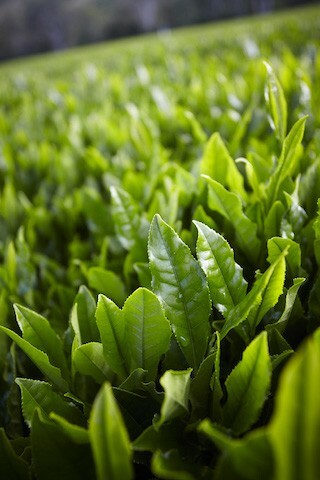 We use Green Tea from the Green Tea plantation in Victorian alpine regions. 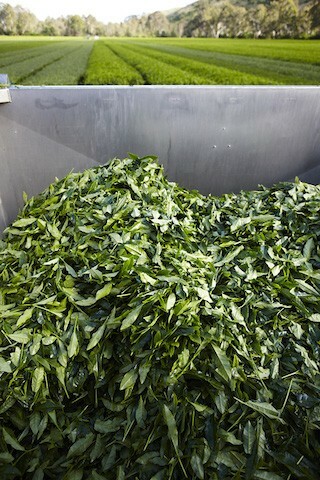 As with all our products we go straight to the growing source to get our Green Tea. 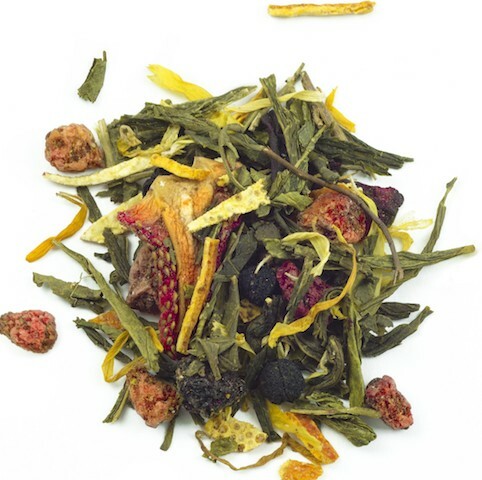 This is a clean green tea that is soft and alluring in it’s gentle flavours. 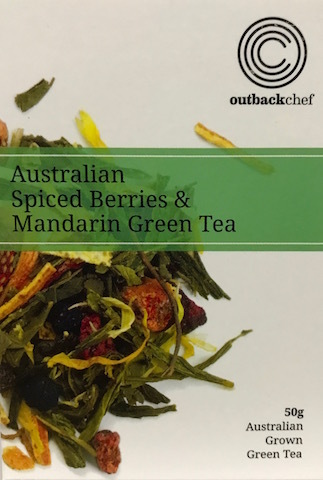 At OutbackChef we’ve complimented this beautiful tea with some exotic spices plus some of our favourite wild-harvested favourites. 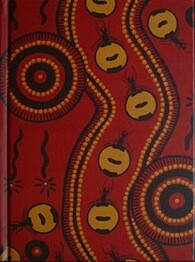 Lilli Pilli’s, so many species Australia wide, but the Lilli Pilli’s used in our tea are from northern NSW, they have essential oils from ginger and cloves to high-light the spiceyness of this tea, we add Rosella flowers….an adopted native, but nonetheless a popular one, especially with the early pioneering women, plus mandarin. 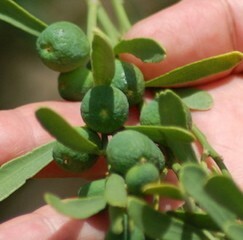 Pepperberries picked as soon as they’re ripe and ready to go, from the chilly alpine regions of Tasmania. This is an exciting tea that is so full flavour and a perfect pick-me-up in the middle of the day.